In a world of ephemeral realities and objects, it is hard to appreciate the materiality of things. 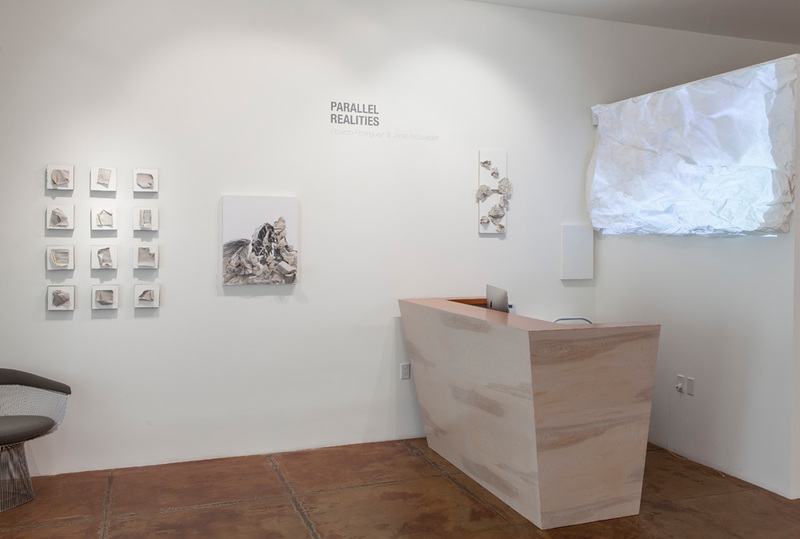 Tangible objects are replaced with fictional landscapes that recreate our perception of reality. In the series Representación Topográfica I explore photography as an object and its tangible qualities. By building three-dimensional paper sculptures scenes and photographing them directly onto a two-dimensional light-sensitive paper surface with a pinhole camera, I simultaneously investigate subject and medium. The modern and futuristic landscapes portrayed by fragments of scenes create fictional and conceptual topographies that allude to how we build our reality. The exploration of reproduction and representation – focusing here on the often-labeled “ephemeral quality” of photographic paper, and its flatness – enables recognition of the materiality of the medium. 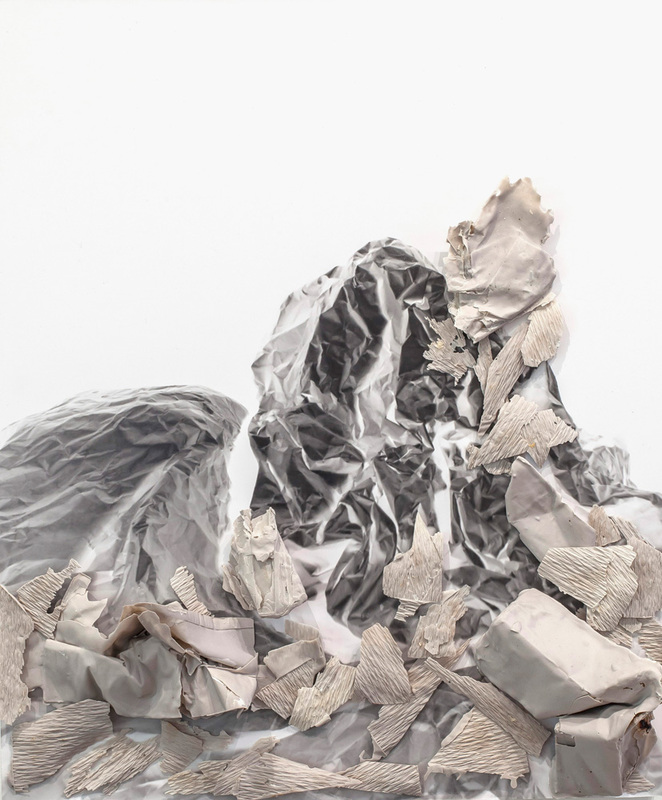 The fictional landscapes portrayed on this series question our perception, and the notion of photography as an object, by encouraging us to reconsider one of the main characteristics of photography, paper. The rise of modern cell phones has armed people with cameras at all times. But ironically images have become less and less reproduced as a tangible object. They live in an unstable digital world of screens, phones, and computers. This raises a question; does our physical relationship with images affect our experience of reality? I confront the idea of immaterial photographs by creating images that exist as an object, since their formation, by sculpting them directly into the light-sensitive paper. There is a tangible relationship between the viewer and the images. 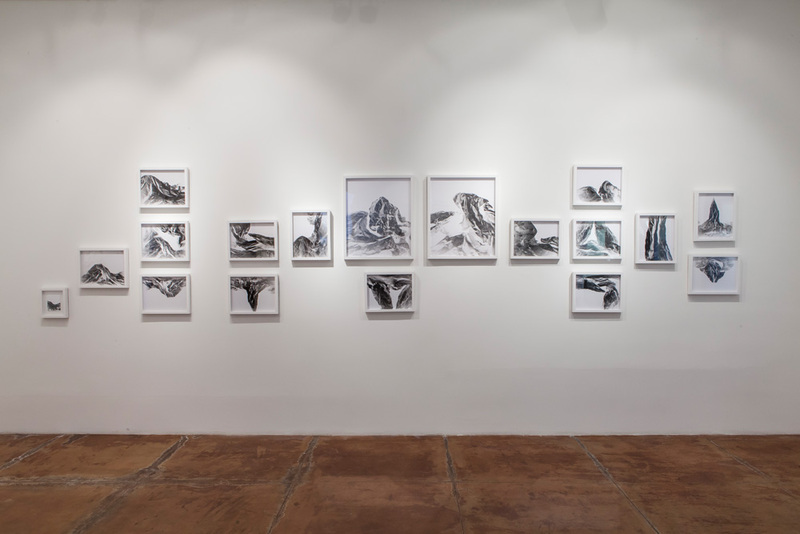 At the same time, there is a relationship between the sculptural landscapes of images as an installation. Representación Topográfica embraces and reflects on our changing physical and psychological relationship to the materiality of images. Independently of where our visual culture goes, there will always be the longing for tangible images.